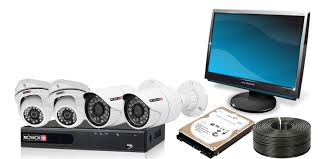 Contact us now on 011 763 4313 for CCTV Installations West Rand & Randburg Areas. Just bought a new CCTV system for your home or business? Considering the installation of a new CCTV system? Whether you need help setting up a traditional CCTV camera, assistance with IP cameras (wifi enabled) or a hand configuring DVRs (Digital Video Recorders) MF Security Systems can help you. For new CCTV Camera installations we make use of ProVision camera systems as well as others that give the best pricing combined with good after sale customer service. There are numerous cameras available for most applications as well as standard and Hd Digital DVR (Digital Video Recorder). We can service and repair any close circuit camera system as well as doing expansions on existing systems. We offer great lead times. 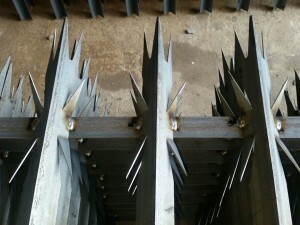 We know that security cant always wait so tell us by when you need it and we will do our utmost best to accommodate you. For general security advice, CCTV installation West Rand prices or to discuss your requirement for electric fences and other steel fencing, please call us on 011 763 4313 or email us on [email protected] for a free quote for new installations. Please note that we charge a call out fee to do repair quotes. CCTV Installations, CCTV Repairs and Maintenance in West rand and Randburg Areas.